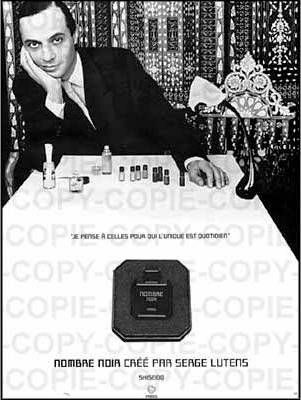 Serge Lutens in an ad for Nombre Noir. Source: Fragrantica. There are unicorns that hide amongst the shadows of our world, fragrance unicorns that are spoken about in hushed, reverential tones, fragrances of such great rarity that they rise from the eBay mists only a bit more frequently than King Arthur’s Avalon. These myths of legend belong to an elite club in the vintage world, and one of them is Nombre Noir. Nombre Noir is so famous for so many reasons that it’s hard to know where to begin. It was the very first fragrance ever made by the visionary Serge Lutens, his introductory footsteps into the perfume world, albeit under the umbrella of Shiseido rather than his own name. That would come later, but so many of the famous Lutens olfactory signatures make their debut in Nombre Noir that it’s like following a map into the future. But the reasons why the fragrance is so mythical have little to do with Lutens himself and everything to do with an aggregation of olfactory, technical, and market-oriented factors. The fact that there is a whiff of Greek tragedy to the tale just adds to the mystique. 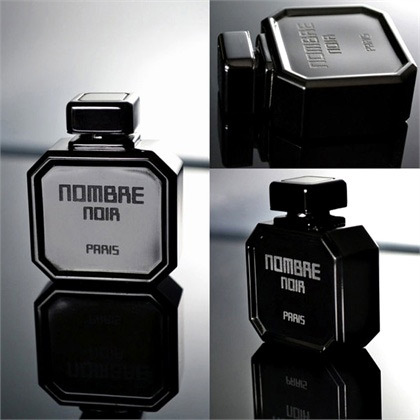 Nombre Noir pure parfum via Fragrantica.